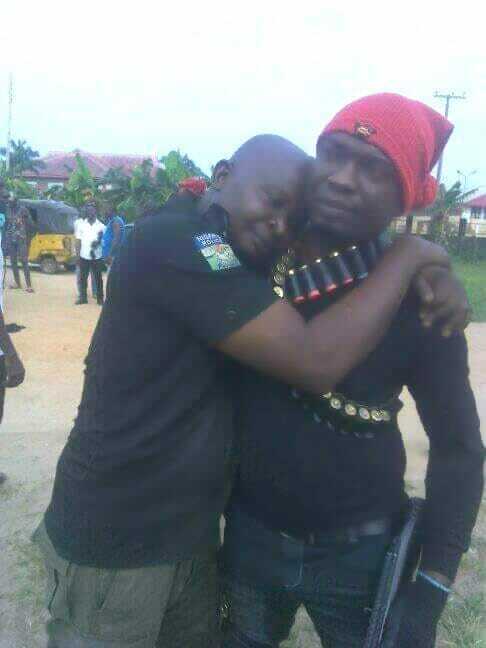 A police man has been pictured tightly hugging an OSPAC (Local vigilante group) member in Ogba Egbema Ndoni Local government area of Rivers state after he was allegedly rescued from kidnappers’ den, in Rivers State. 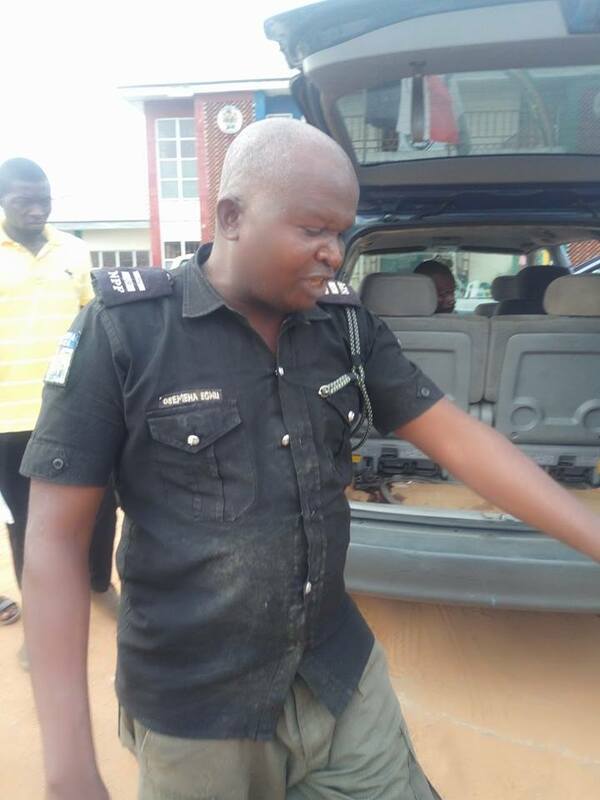 The policeman along with other victims were rescued by ONELGA Security, Planning and Advisory Committee (OSPAC) in Rivers State who also arrested a young suspect in the process after his charms failed him. 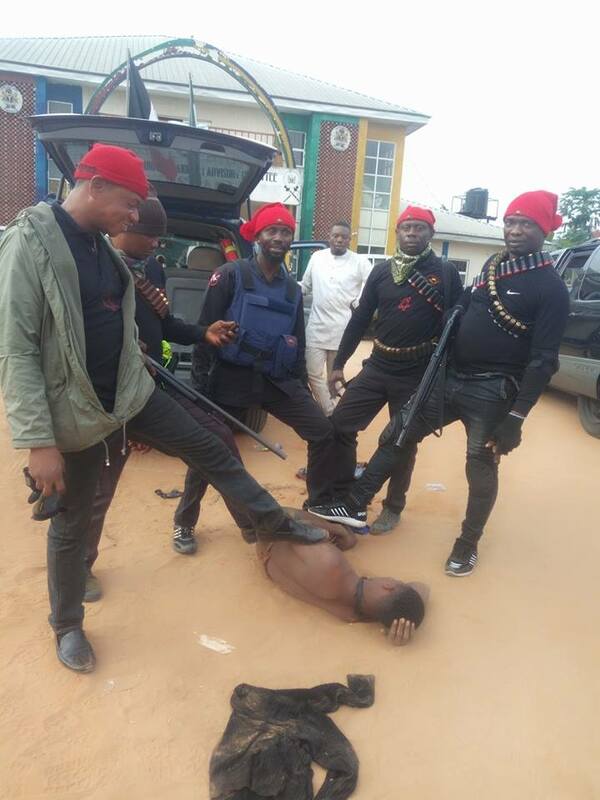 The vigilante group had engaged the criminals in a battle, before they were able to rescue the men, according to report.